We created this recipe on October 1, National homemade cookie day--in 2012! What a great reason to make some cookies with the kids--not that we really needed an excuse! We are updating this recipe this afternoon for a spot on our Holiday cookie recipe & craft idea calendar! You will find our current ingredient recommendations (we may receive some compensation from links within our site--but, we only share the products we use and recommend!) 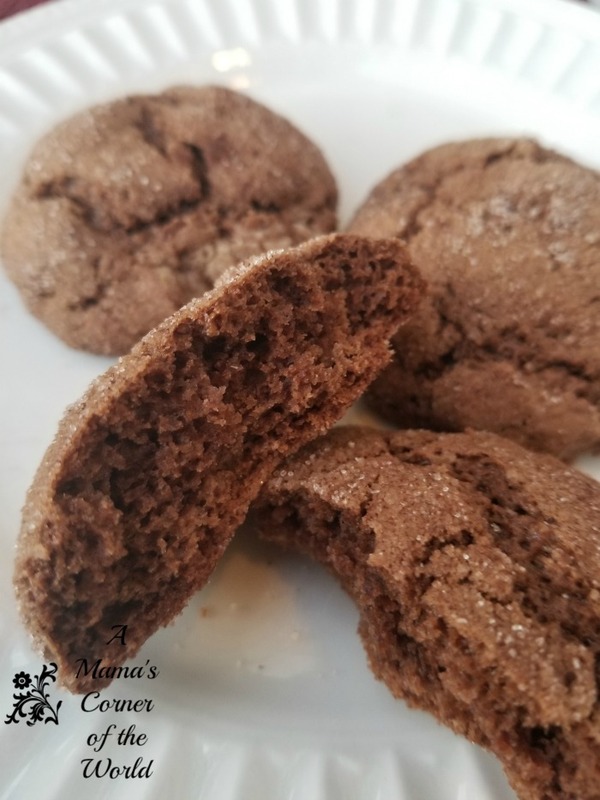 Check out this yummy chocolate snickerdoodle recipe for (my favorite) cookies that taste just like hot cocoa with cinnamon. Preheat oven to prepare baking sheets. Preheat oven to 400 degrees Fahrenheit. Line cookie sheet with parchment paper. Blend moist ingredients. Cream butter and sugar together until well blended. Next add eggs and vanilla until completely incorporated. Prepare cinnamon sugar mixture. Add cinnamon and sugar to a small bowl or plate and mix until fullly blended. Roll cookies in cinnamon sugar and place on baking sheet. Shape the cookie dough into 1-inch balls. Roll each ball lightly in the cinnamon sugar mixture and place on parchment paper lined cookie sheets. Bake the cookies. Bake for 8 to 10 minutes or until cookies are set well. Do not over bake the cookies--the consistency will be a bit crunchy on the outside--but, chewy and cake-like on the inside. Cool on a wire cookie cooling rack (I use this one from Wilton) and serve--or eat warm if you just cannot wait! A yummy chocolate snickerdoodle recipe for (my favorite) cookies that taste just like hot cocoa with cinnamon. yum!! they look and sound delicious! These sound delicious. I've never thought of chocolate with snickerdoodles. Very unique! Chocolate Snickerdoodles - what a great idea! Thanks so much for sharing this delicious recipe at Saturday Night Fever!